Korea’s weather and soil makes it an ideal place for cultivating the oh-so-perfect leaves, the fragrance and freshness of its own produce is second to none. Not only is it a tasty treat, consuming it also comes with a lot of health benefits. We can see how this leaf is everyone’s favorite so if you’re a huge fan of green tea, this post is for you! 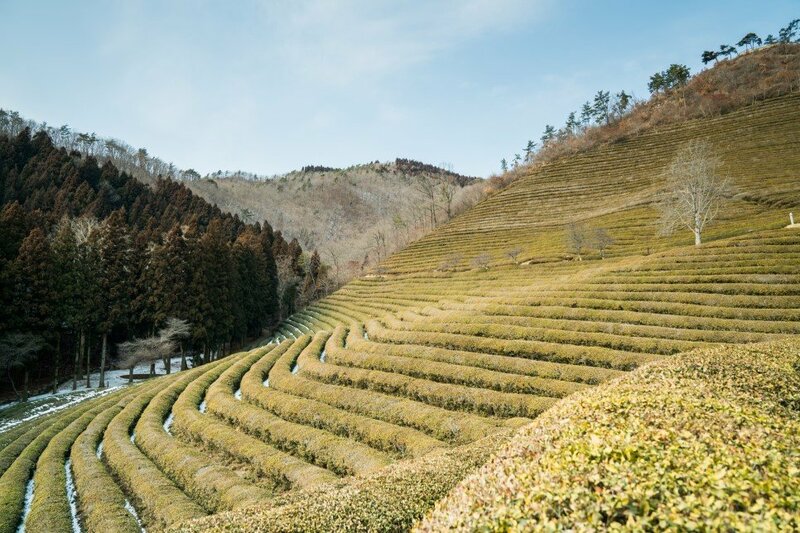 A good way to busk in the goodness of all things green tea is to head over to their plantations and overlook the well-groomed uniformed rows of green tea shrubs for yourself or indulge in a cafe that sells all things green tea. 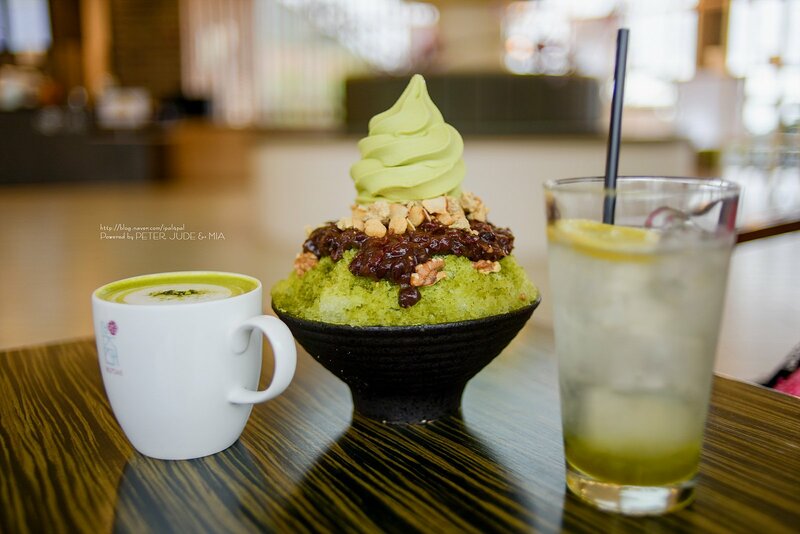 With that said, here is a list of hot spots you should check out if you’re ever in the mood for a matcha overdose. 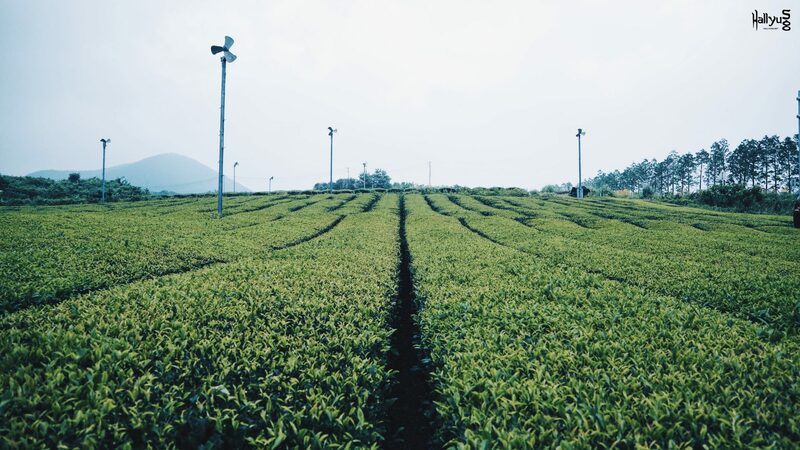 One of the more stunning sites on the list, Daehan Dawon Tea Plantation is considered one of the most beautiful fields in South Korea with its perfectly landscaped hedges forming a picturesque location that’s perfect for photos. The lines of greens are a majestic sight to behold and its robust aroma is hard to miss. Visitors can stroll along the fields and treat themselves to an extensive view of the dense forest and blue seas when they reach the end of the cedar path at the peak. 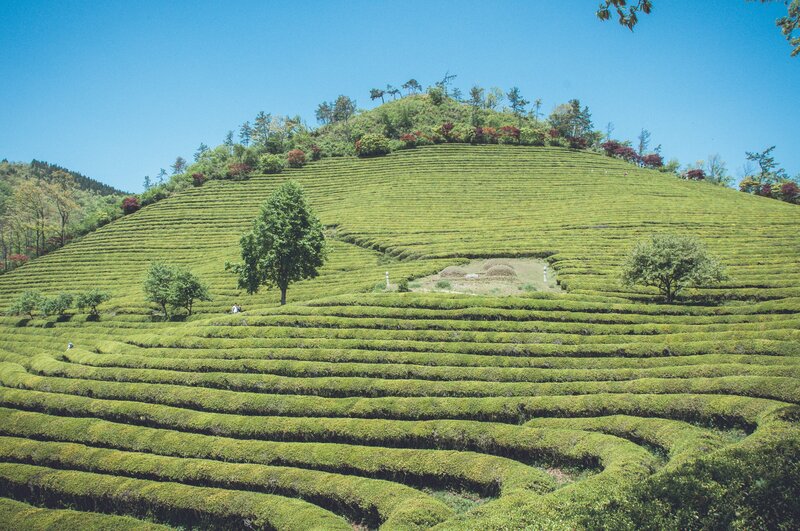 With the scent of green tea whisking by you along your journey, this place is sure to satisfy all your senses. No trip to a green tea plantation is done until you sample some of the unique food the place offers. 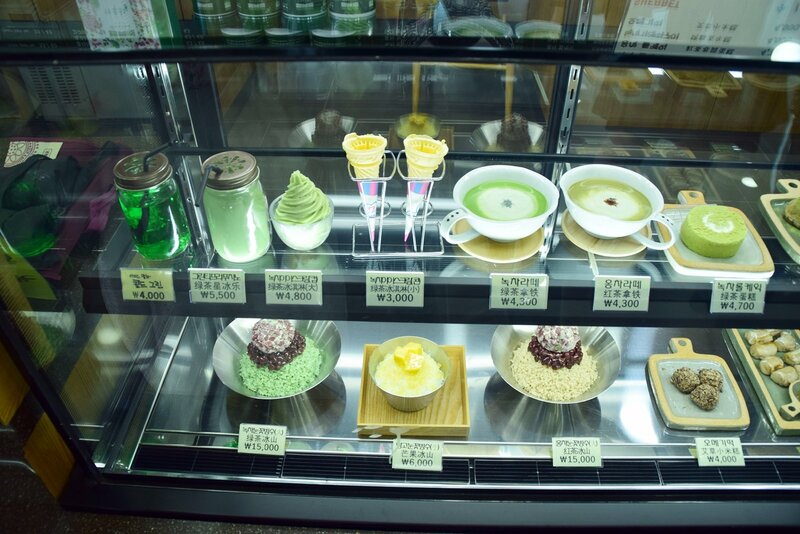 Daehan Dawon Tea Plantation’s café and restaurant incorporate their own homegrown green tea leaves into their menu so go ahead and treat yourself to a refreshing cup of green tea ice cream, or if you’re a little bit hungry, head on over to their restaurant to try out some of their green tea bibimbap! 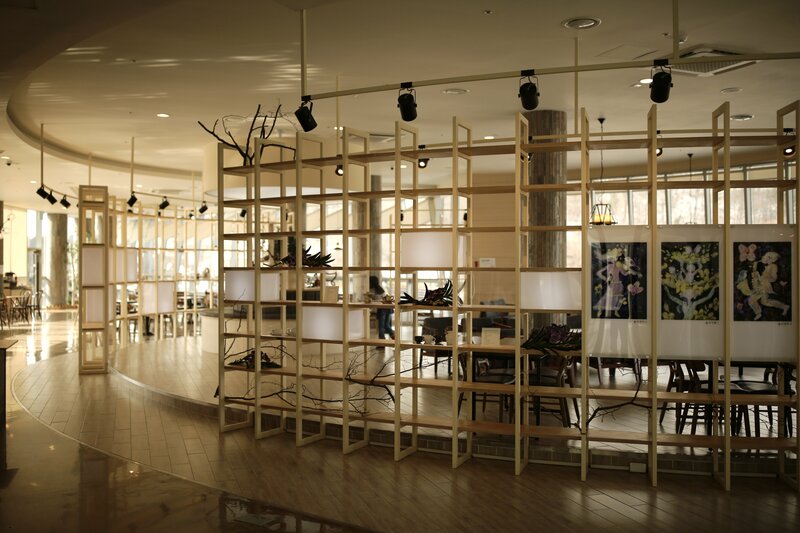 This is a ticketed attraction and prices start from 4,000KRW for adults. They are opened from 9am to 7pm (May to August), and from 9am to 6pm (September to April). 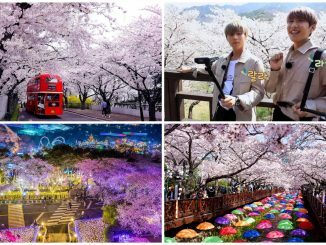 To get there, take a bus from Central City Bus Terminal (also known as Seoul Express Terminal) to Boseong Bus Terminal, then take the Boseong-Gunhak bus to Daehan Dawon Tea Plantation. It is a 5-hour journey from Seoul. 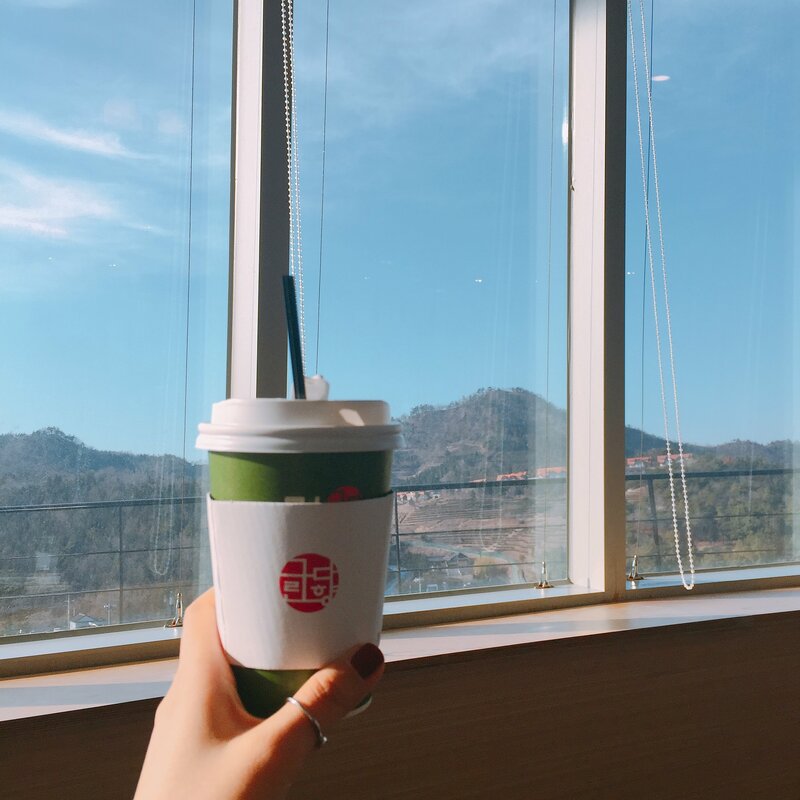 Located in Boseong, the green tea capital of South Korea and just 5-10 minutes away from the luscious Daehan Dawon Tea Plantation lies a humble café called Botjae Green Da-hyang. 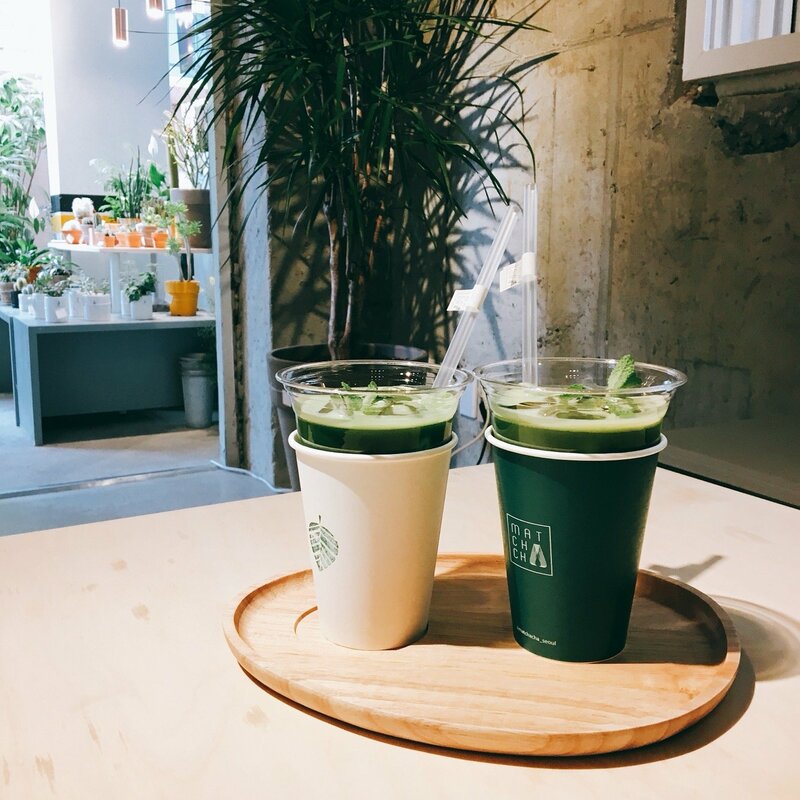 Situated inside the Botjae Green Tea Market (which not-so-coincidentally looks like a leaf), this café uses the freshest produce from the plantations nearby and offers a wide variety of green tea flavored desserts, you’ll be spoilt for choices. 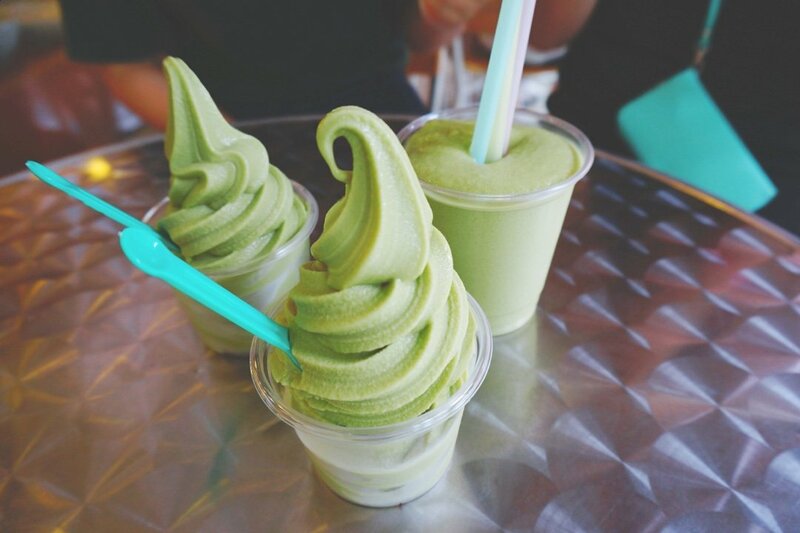 Green tea lattes, green tea shaved ice, green tea fizzes and many more, how can anyone say no to green-tea-everything? With a modern interior and views overlooking the vast plains, this quaint café is a must go for all the green tea lovers out there. Once you’re done with your cuppa, slide your way over to level 1 or 3 for more green tea goodness. Purchase some souvenirs at the Green Tea Market or head on over to the Boseong History and Cultural Hall to learn more about the city and its history! This café is opened every day except Monday, from 10am to 9pm! To get there, it’s a 1.2km walk from Daehan Dawon Tea Plantation’s ticketing office. 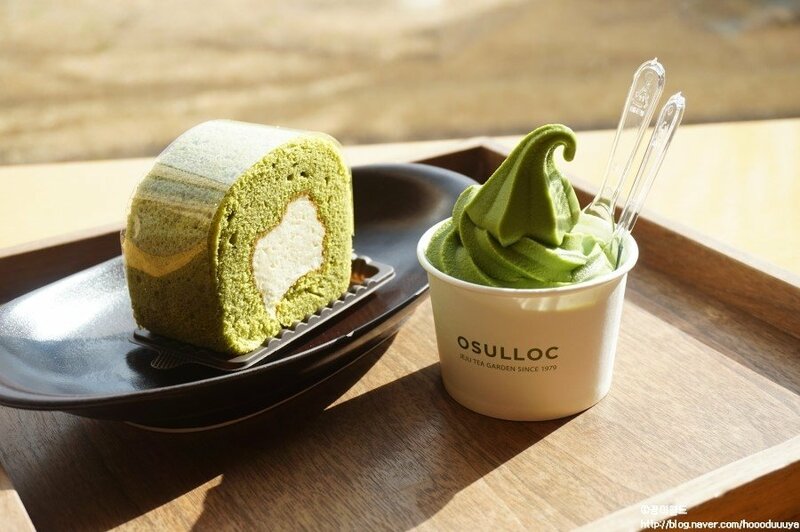 O’Sulloc is a brand synonymous with green tea, well known amongst both the locals and foreigners alike for their unique mixes, rich brews and of course, green tea desserts! 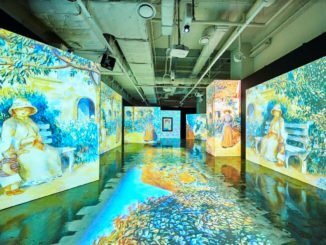 So, it comes to no surprise when they have a tea museum built in Jeju talking about tea and its history. 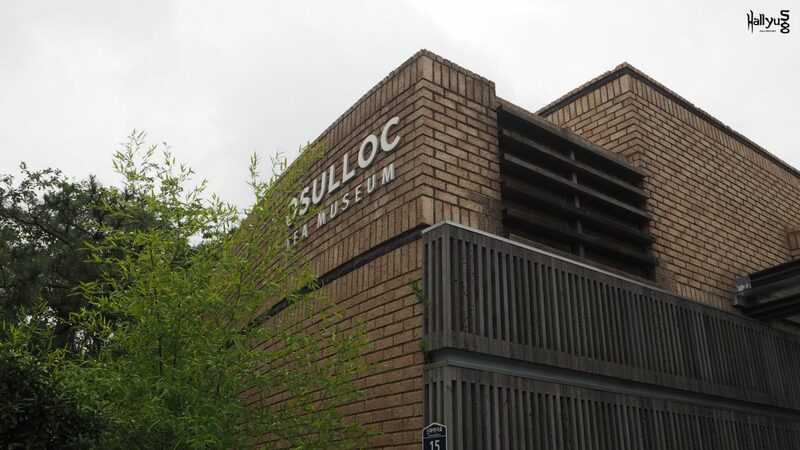 Located in the south of Jeju Island, the O’Sulloc Tea Museum was the first tea museum, opened together with Amore Pacific, aimed at spreading the traditional Korean tea culture around the world. Looking for the perfect place for your afternoon tea break? The café inside the museum is the real star of today’s show with a wide range of desserts for you to munch upon. Your stomach is in for a feast! 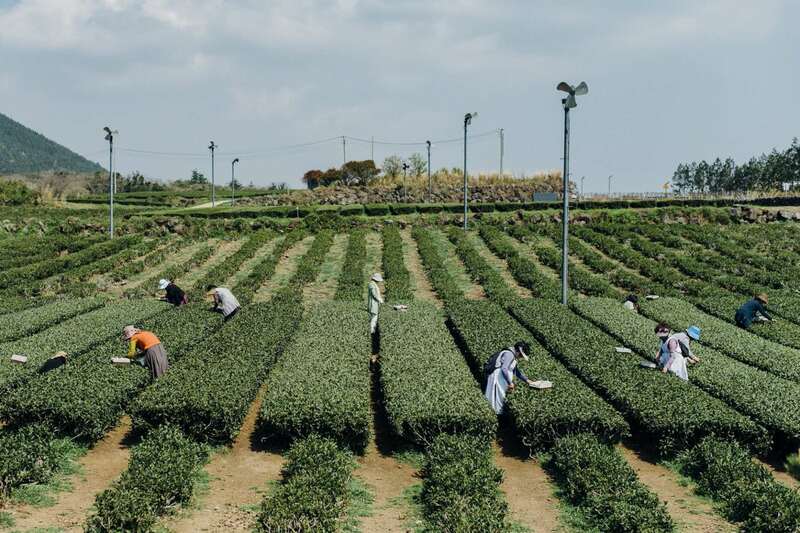 Once you’re done stuffing your tummy with all them scrumptious desserts, head on over to the green tea fields to snap a shot or two at the exact area Yoona and Wanna One filmed their Innisfree commercial. Don’t forget to embrace the inner idol within you to get that perfect shot! It is open every day from 9am to 7pm and admission is free for all. 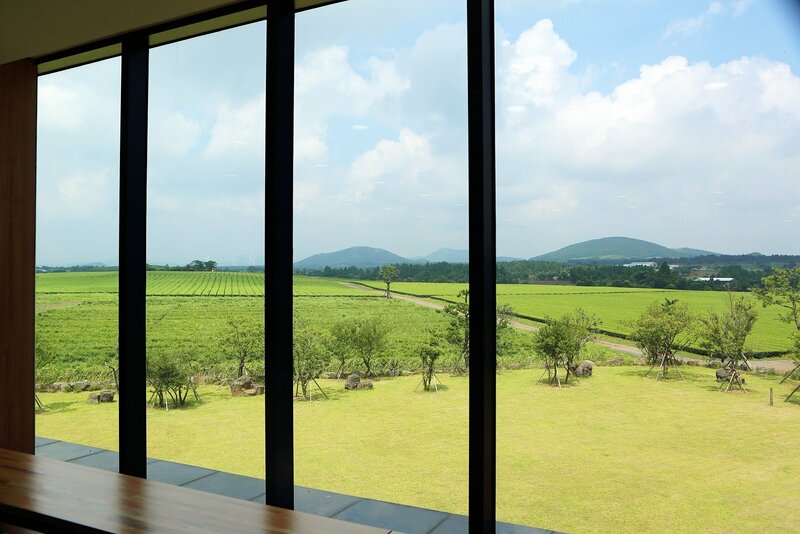 If you have some spare time, head on over to the Innisfree Jeju House too! For the bold explorers looking to stray off the beaten track, try looking for Onulun Café. 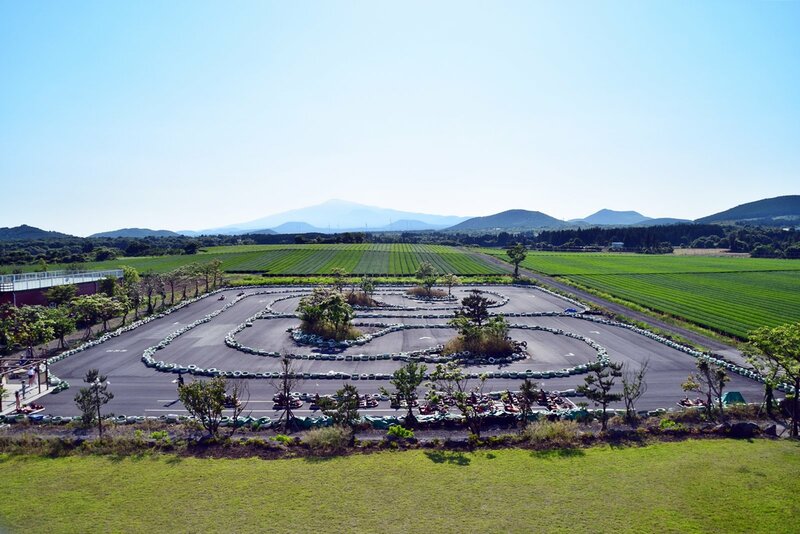 Located in the east of Jeju Island, this café is a less touristy alternative, packed with a go-kart track and a green tea field! Imagine sipping a cup of tea with the view of the open field, clear skies, and lush greens. And once you’re done resting up, busk in the crisp, clear Jeju air and walk between the many rows of green tea or end your day off with a race with your friends! Their spread of desserts does not pale in comparison to O’Sulloc’s either! Onulun opens every day from 9am to 6pm and entry is free of charge. Additional charges apply for using the go-kart track. Nowhere near a green tea field but Matchacha is the closest you can get in Seoul. 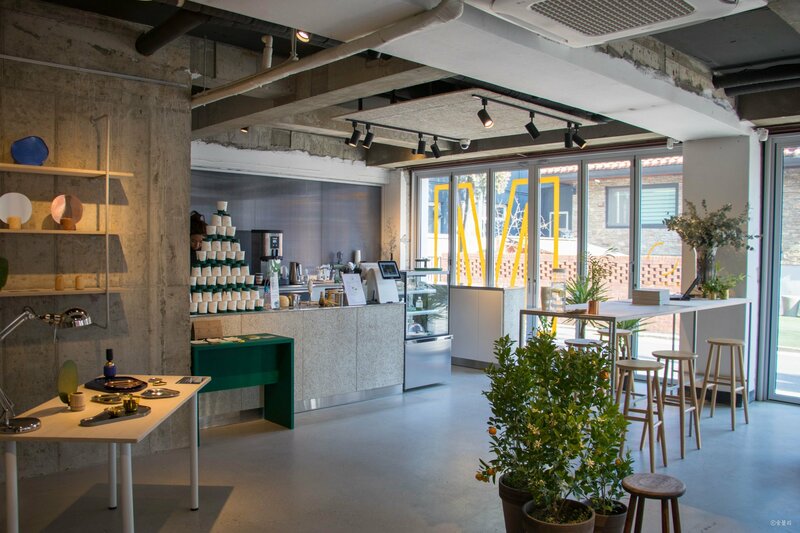 Scurrying the entire Korea for the best leaves, Matchacha serves up some of the best and richest matcha drinks you will ever tasted. The taste of its unique blend is the bomb, this is the place all green tea lovers should check out if you’re in Seoul! The snug atmosphere is an added bonus, with sofas, plants, and drawings decorated around the place giving it a cozy feel. 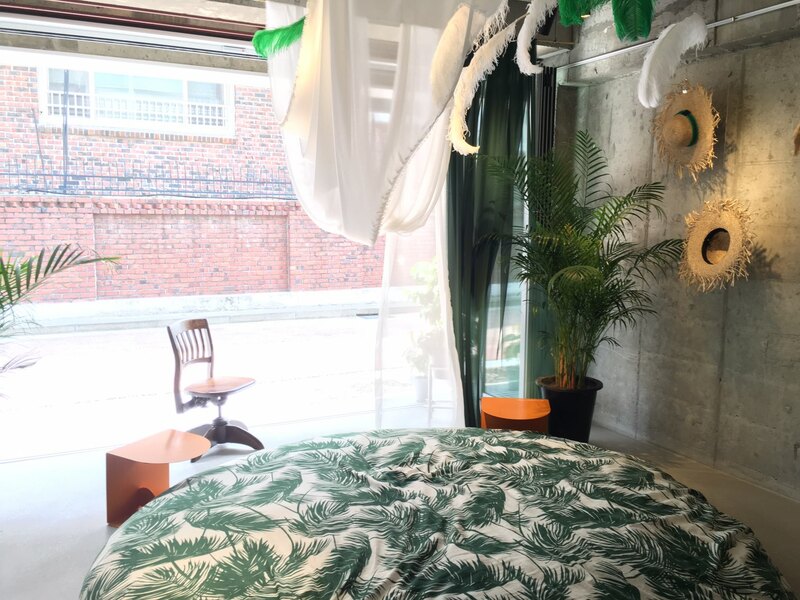 Matchacha definitely got its aesthetic game on, you won’t believe it’s a café. Kinfolk editors will be so proud. Apart from desserts and beverages, they have tea blends for you to purchase so you can relax and recharge anytime, anywhere. If you live on a matcha diet, try out their matcha blanc and ceremonial-style matcha for an out-of-this-world experience! The café is open every Tuesday to Friday from 11am to 7pm. Weekends are for tea course reservations only. 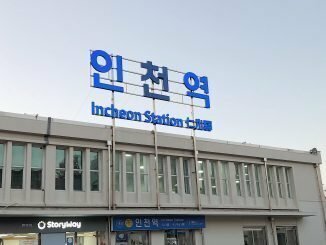 To get there, take the train to Ttukseom Station, then walk 800m from Exit 8. It is a 13-minute walk from the station.